Going out while backpacking/on vacation is an essential part of being a tourist and getting to know a new city. Here are a few local favorites that have a great atmosphere for tourists and porteños alike. 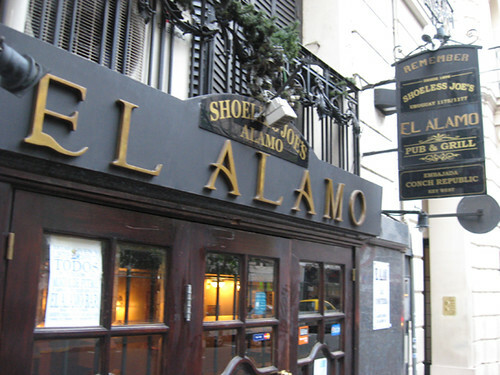 El Alamo, named after the one in Texas, is a rather infamous bar known for being an expat haven and a spot where the ladies drink for free. Add 4 peso tequila shots on top of that and you have a recipe for a crazy night out. Good times abound. 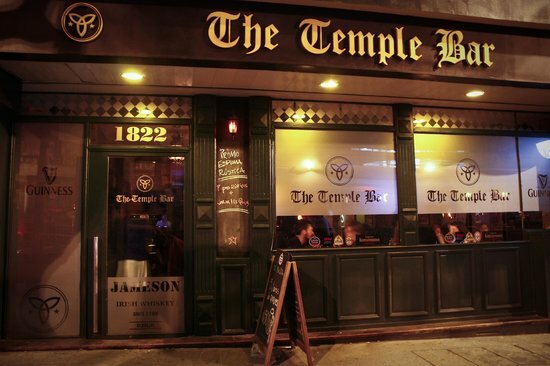 Temple Bar is just one of those places that is ´in´ right now. It´s not going to be as full of foreigners as El Alamo, but it has an awesome atmosphere and asthetic appeal with the standard Irish Pub done to perfection. They also have their own craft beer here! The Kilkenny is probably the most commonly known ´irish pub´ in Buenos Aires. Many people gather outside with their drinks after work into the late night. A great spot for a ´preboliche´ (pre-game). Soria is a super popular bar in the Palermo area that is growing into a ´date´ bar. It still has a strong party atmosphere later in the night, but if you go early, you might see many ´parejas´ holding hands in the romantic candle-lit patios. Still an awesome place to go if you want to go out in the palermo neighborhood. On Tap is a super hipster bar in Palermo Holywood just a few blocks away from Soria. With up to 20 beers on tap and a variety of food options, this place is always packed to the brim. It´s a great place to go if you are missing some american IPA or a german Heffeweisen. Most of the beers here are either imported or come from a high-quality brewery in Argentina.